Hi friends, hope you are having a good day! Today, I am going to talk about a very important topic from a child’s mental health perspective, the emotional needs of a toddler. I have been trying to write this post since July when I first started observing the behavioral changes in Nemit. But due to time constraint & other prior commitments, I couldn’t find time to finish this post. 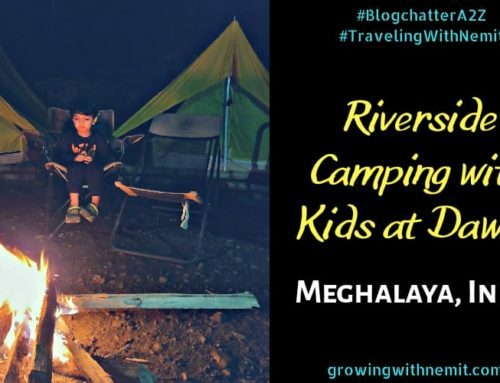 Thanks to Blogchatter’s #MyFriendAlexa campaign that I am finally able to complete all my pending posts including this one. I will be sharing this post in a 3-part series and this is the first post of the series. If you guys have been following my Instagram (growing_with_nemit) stories, you must be aware of the school tales that I share every once in a while. If you are not following me, you can still check the story highlights ‘School‘ on my Insta profile. You may also read: Is your child achieving cognitive milestones? 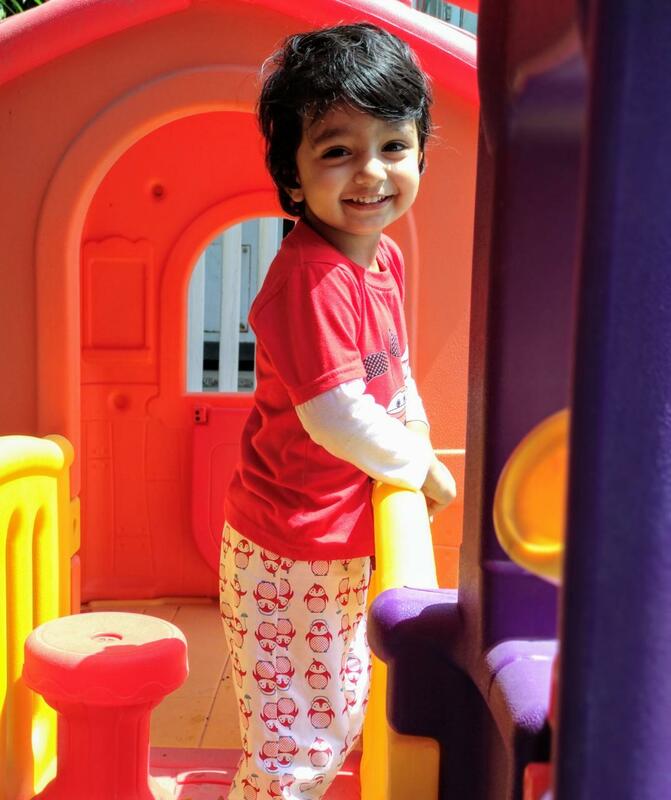 Nemit is 2 years and 8 months old presently (September 2018) and goes to a play school. I am sharing incidents from July 2018. He had not been feeling very happy about going to school around that time. 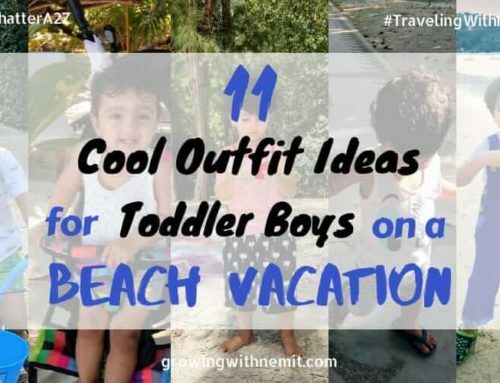 Many of my friends told me that it could be a phase which every toddler goes through so I should not bother much about it. But this phase left me really worried. 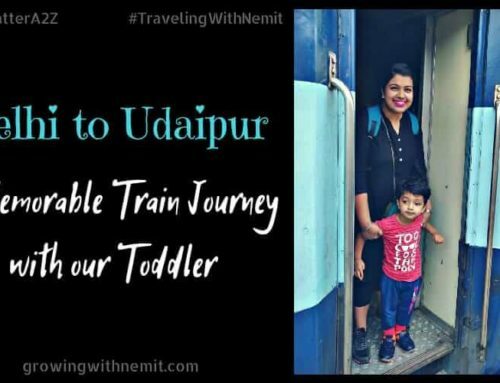 Hence writing this post to share my experience and learnings from that phase on understanding the emotional needs of a toddler and how parents can deal with such situations. But first, let me share a little background here. Nemit started his playschool 6 months ago (in March 2018) and it took him around 3 weeks initially to settle down in his class and get comfortable with his teacher. Once he got settled, every morning he would get so excited to go to school. You may also read: How to prepare your child for preschool! 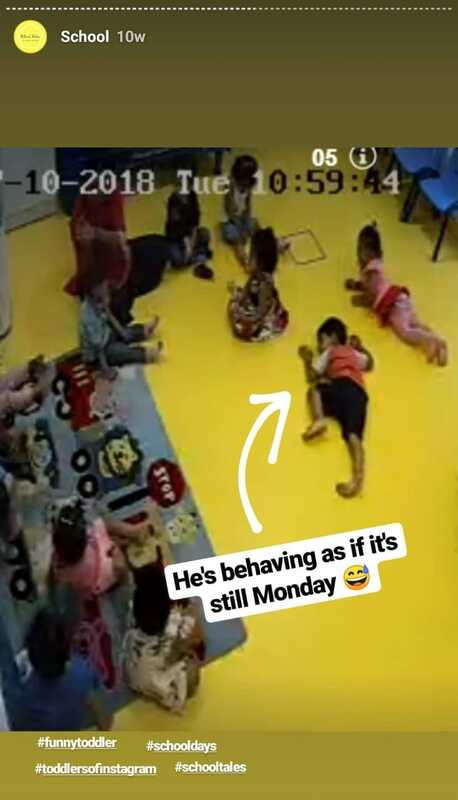 It was July when his behavior suddenly changed towards the school. He used to start crying as soon as we would ask him to get ready for school. And would keep on crying in the class as well. He simply refused to talk about anything related to school. Before moving further, I want to request all the parents out there to never ignore the cries of your children. Nemit is a happy kid usually calm and understanding, it is very rare of him to show any temper tantrums at home or even outside. Even if he experiences an emotional outburst, it doesn’t last for long. 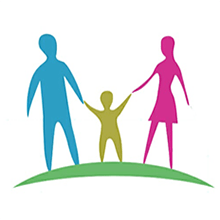 We have been following the positive parenting approach with the major focus on a healthy parent-child relationship. And I give much credit to this approach in helping us understand & focus on Nemit’s emotional needs. Positive or gentle parenting as the name suggests involves a parenting approach which focuses on disciplining children with love, empathy and kindness rather than enforcing harsh rules. We strongly believe if the child is happy and his emotional needs are also fulfilled, it helps in developing a strong relationship with parents on the basis of trust, love, and care. Why understand the emotional needs of a toddler? Positive Parenting helps in developing a strong, deeply committed relationship between parent and child. And this relationship is based on communication and mutual respect. 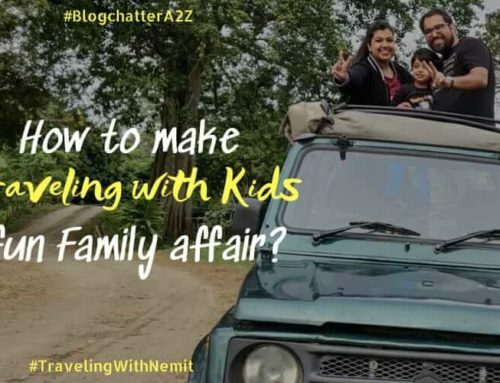 And that’s exactly we have been following with Nemit. We talk a lot with him to help develop his communication skills. Every evening we talk about what he’s going to do at school the next day. Usually, he’s happy to talk about his school and the activities which he does in the class. You may also read Best home remedies for nasal congestion in kids! But, one day (in July), when I shifted the topic of our conversation to school, he started getting uncomfortable. I could notice the change in his facial expressions which were changing from excitement to confusion and later to sadness. This was an alarming sign for us! The change in a child’s emotions & behavior can give you an insight into what’s going on inside a child’s mind. Sometimes, an early intervention can save kids as well as their parents from getting too deep into an emotional stress. This post was just an overview and to give you a little background. My aim was to tell you how you can observe the emotional changes in your child. There is no one who knows a child better than his own parents. When you notice a change in their behavior, it’s your responsibility to find out the reason behind it. It’always better to intervene and understand the reason to avoid getting the situation out of control at a later stage. Children cry and have tantrums to show that they are upset or frustrated with a certain situation. Parents can easily identify between usual tantrums and the serious ones. Still, there are chances that we may miss or ignore the behavior which may need immediate attention. Hence, it becomes even more important to understand the emotional needs of a child. Why emotions matter? A child’s response to various feelings they experience every day have a major impact on their choices, their behavior, and on how well they cope and enjoy life. I will be continuing further in my next post, Part-2 of the series and will share more on ‘what are the emotional needs of a toddler?’ Keep watching this space! Whenever your child cries or throws a tantrum, how often do you try to find out the reason behind that behavior? 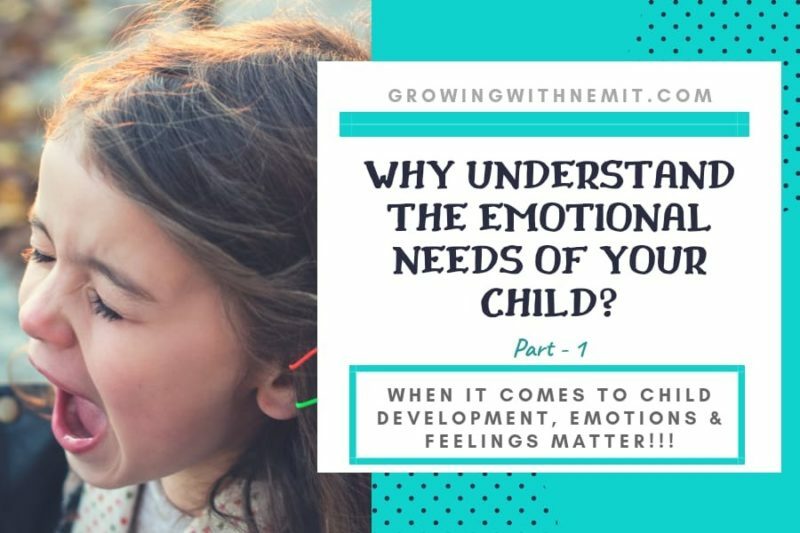 Let’s talk about child emotions and their emotional development! You put the very important message in a very subtle way. Nice read. Thanks for the kind words, Prerna! When thinking about the emotional needs of a child, love and affection are the first things that come to mind. Toddlers understand so much more than they can express, which can be understandably frustrating. Their communication skills can’t keep up with their emotional and physical development, which results in their perception preceding speech production. Praising good behaviour is important across all ages, but praising creativity or decision making is a great way of fostering solid thinking skills in toddlers and young children. You are absolutely on point. Thanks for sharing your insights. Can’t agree more with you! Thanks for stopping by, Priyal! Emotions are the only way a small child expresses himself! 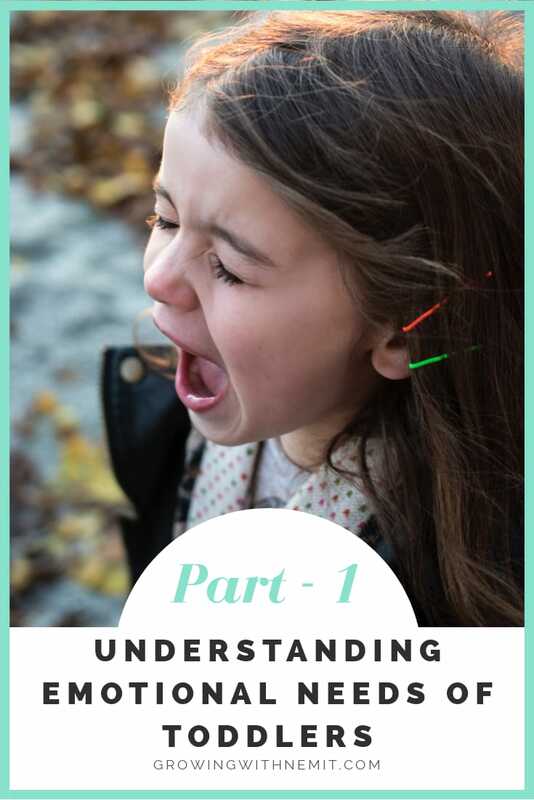 As a parent, understanding the emotions and emotional reactions of a kid is very important! Good post! Yes, and that often gets neglected. Thanks for stopping by, Mrinal! This is a very important message for all parents. I had it quite easy. He didn’t have any problem with play school, he wasn’t even two when he started. I was surprised he didn’t cry at all and was enjoying from day 1. That’s really great to know, Tina! Babies adjust to situations rather easily as compared to toddlers & older kids. And that’s why it gets even more crucial for parents, teachers & caretakers to understand the emotional needs of a child and handle them accordingly. Thanks for stopping by. A very important article. We are so busy with digitalized social life that we often neglect our babies. This post is like a flag for me to take stand up and take note of my child’s behavior. Thanks for liking the post, Siddhi. This was such an informative read Neha. My son will be 5 in January and he has emotional outbursts on rare days. But our morning starts with “I don’t want to go to school. School is not my favourite “. Then as soon as he sees his friends, he forgets to even say goodbye to me. My son talks about school every night before going to bed and he wants me to ask him questions. It’s true that parents can sense if something is not right and it’s better to intervene at an early stage. 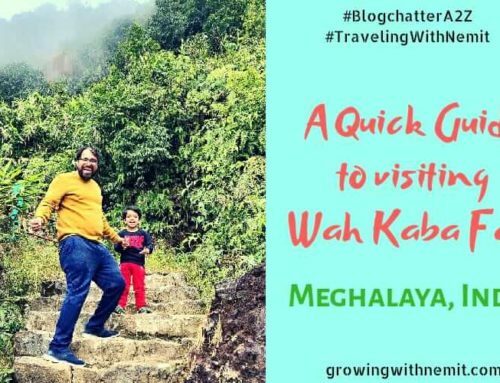 Thank you so much, Akanksha for sharing your inputs. In this day and age there is a need for gentle parenting as kids take everything very emotionally which sometimes miss our notice. Very sensible topic to write about. Toddlers can’t explain their situation with proper or exact words. So, as parents we have to understand that unsaid emotion and find the reason behind it and fix it. Glad you noticed the change in Nemit’s behaviour and acted. Eager to read next parts.